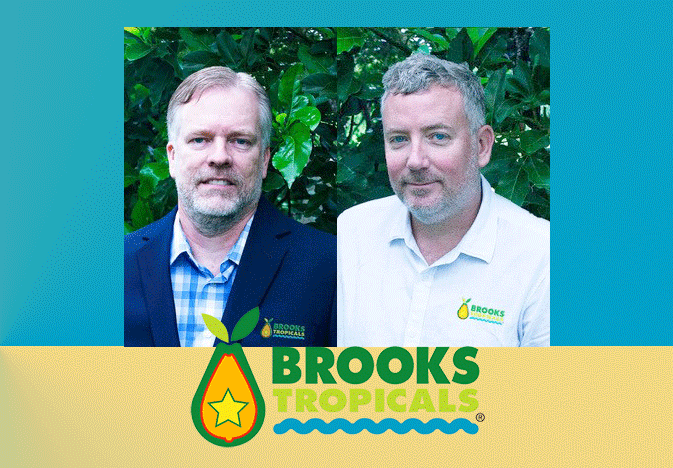 Brooks Tropicals LLC has promoted Bill Brindle and Peter Leifermann. Brindle, the former vice president of sales, is now chief operations officer, and Leifermann, who was director of sales and fruit procurement, is vice president of sales and marketing. Brindle will oversee Brooks Tropicals’ packinghouse, grove operations and other executive management responsibilities, according to a news release. He joined the company 23 years ago. “Bill has been a key part of our success in building the market for tropical, and I look forward to working with him in this important position,” CEO Greg Smith said in the release. Leifermann manages sales, marketing transportation and procurement for the company. “Peter’s work both with customers and growers has been essential in our past, and I believe his work will be even more critical in our future growth,” Smith said in the release. Leifermann joined Brooks Tropicals six years ago.